Pages From the Heart: A Great Gift Package Idea from Becky! 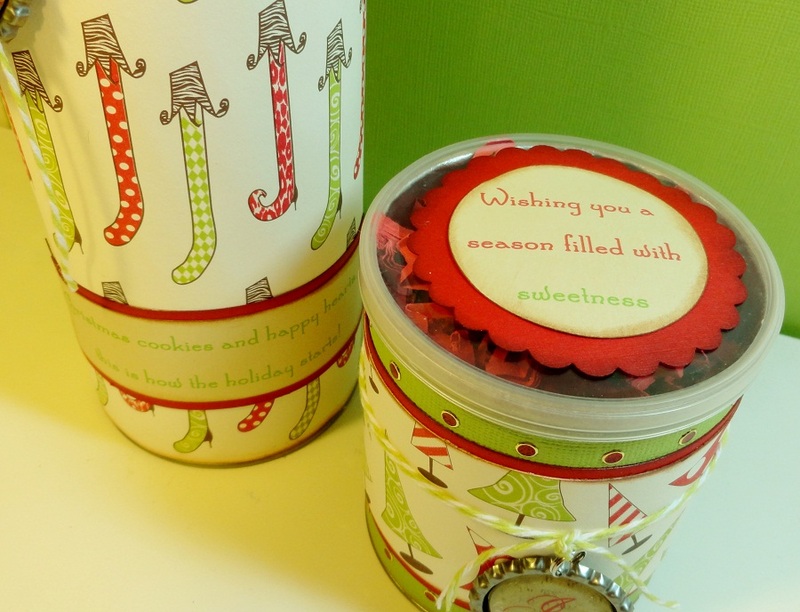 A Great Gift Package Idea from Becky! 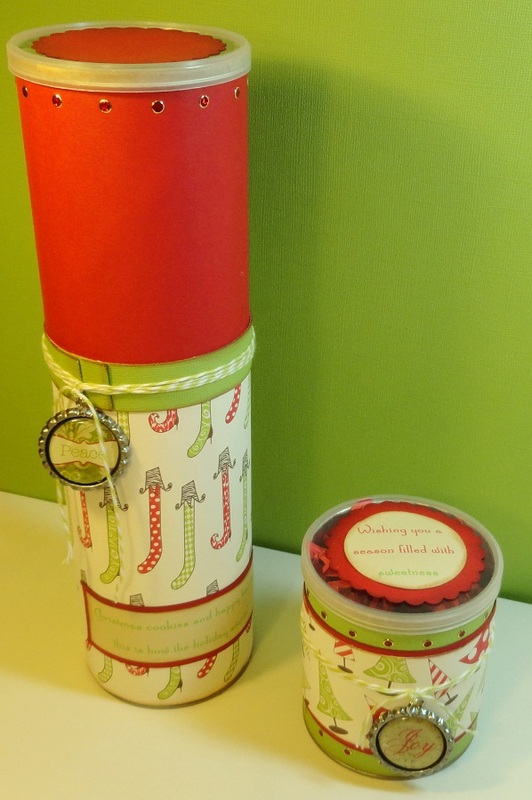 Today we're sharing a project from Becky that is a great way to wrap a gift! Let's take a look and see what Becky has to say! 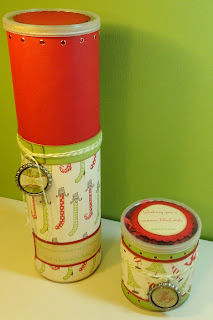 My husband and I were eating some Pringles one day when suddenly I thought, "I can make this my gift wrap project!" Turns out other people have had this same idea because when I Googled it, some images came up. The most popular use for a recycled Pringles can was as a cookie holder but I think it would do for any baked treat. I started by cleaning the cans out with a little bit of soap and water. The cardboard is sturdy enough that you can actually swirl the water around inside of it. I let them air dry overnight with the lids off just to be sure they were ready for paper. I covered them with my paper from the Canvas Corp. Christmas line. Then I embellished using the Starform stickers in red, Authentique Noteables from the Wonder collection, and of course, some Baker's Twine. A funny story about the cans: I looked for a few days at several different stores to find the small, single serving Pringles can which I thought would be the perfect size for a cookie holder. I couldn't find one anywhere! Then when my husband and I went to Costa Rica, we found them in a small country mart so naturally, I brought one home with me (oh, what TSA must have thought while scanning my luggage). A week after we got home, I went into a 7-11 and there they were. Go figure! If you go into Pages From the Heart and lift the can up, you'll see the Costa Rican sticker on the bottom. Thank you so much, Becky! It's always great when you can reuse something! We hope you enjoyed the projects from our team this month! Remember to check back in January for lots of Page inspiration... hopefully 1 of your New Years Resolution will be to make layouts, cards... and to enjoy yourself with all of your papercrafting supplies! Let's Learn a thing or two with Lauren! Becky has it in the bag! And a Tutorial! Let's get "carried" away with Debra!